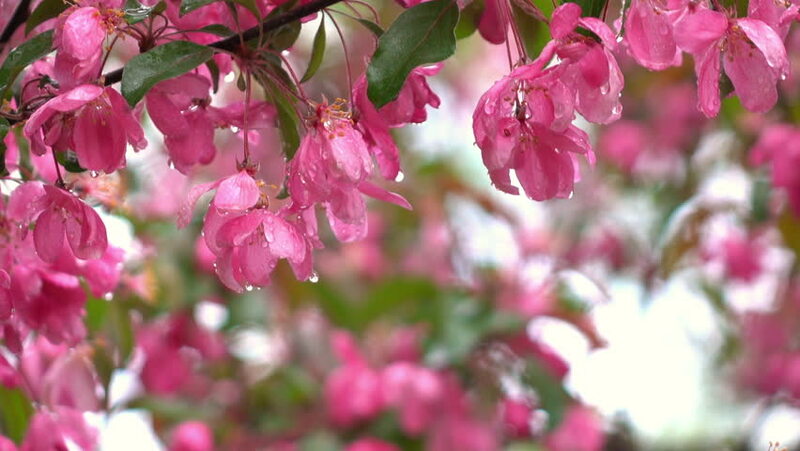 Slow motion shot of blooming pink apple flowers close up with raindrops on the wind. Shallow dof. Sweet spring nature scene. Full HD footage 1920x1080. hd00:16Blooming pink apple branch on the rude wind after the rain in slow motion. Closeup shot. Beautiful fresh spring nature scene. Shallow dof. Full HD footage 1920x1080.